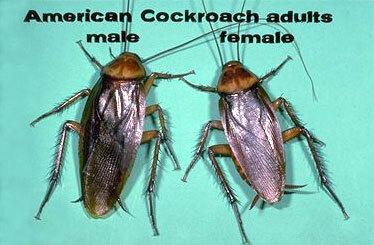 The American cockroach is one of the largest roaches in North America, measuring up to 1.5" long. It prefers dark, moist locations where it can feed on decaying organic matter. We generally find them underneath houses and buildings during inspections. 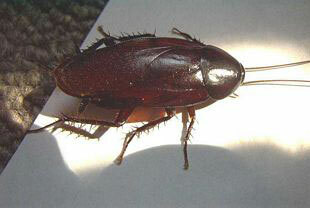 If you're having problem seeing this roach, the source is almost always underneath your home. The German cockroach is a structure-infesting insect that prefers warm, moist areas close to food sources to live. 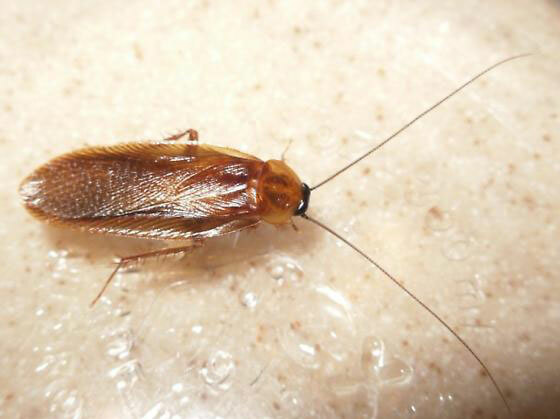 Contrary to what some people believe, this roach doesn't run from house to house, unless it's on fire. It will, however, run from room to room or apartment to apartment via the plumbing or electrical lines between units. This roach isn't going to be caught dead, leaving a perfectly good structure in which to live. It's easily recognized by the two dark stripes running down its back. They grow to about 1/2" to 5/8" long. They sexually mature in about 30 days before they begin reproducing. 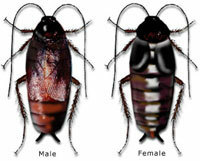 Females will hatch egg capsules that contain anywhere from 40-45 baby roaches about every 45 days or so. Do the math and you can understand why scientists tell us that 1 roach can grow in population to 6 million in a single year! 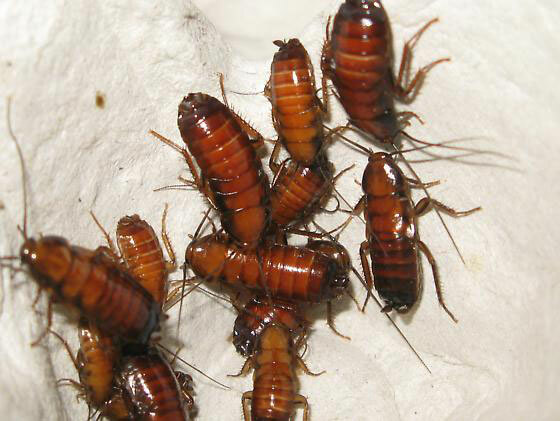 Oriental cockroaches are most often found in flowerbeds, firewood, leaves, decks, and other dark areas around homes because they also feed on organic matter. 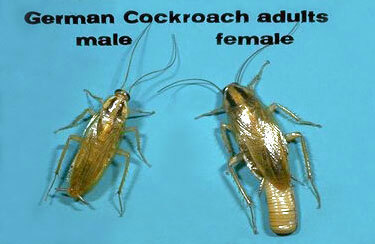 They grow up to 1" and are easily recognized because they have no wings, or only half-sized wings for the males, as opposed to other roach species. They can be very dark, almost black, to a dark burgandy color. 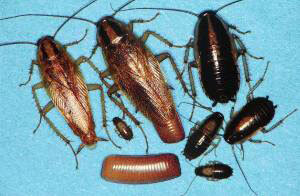 In large numbers, this roach has a very pungent smell. We often see this roach living underneath pier & beam houses during inspections. 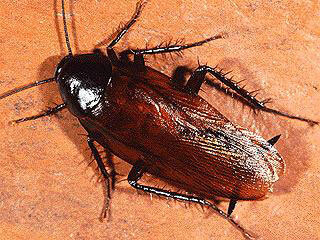 Smoky Brown cockroaches are usually a solid dark brown color and can grow up to 1.25" long. 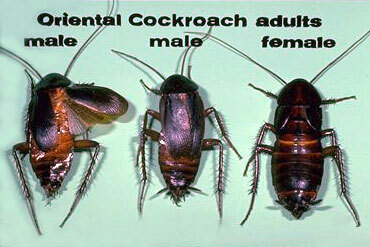 They are abundant outdoors throughout Texas and the southern U.S. and are often referred to as "waterbugs" by people. They are good fliers and can be found underneath homes, residing in wood piles or under leaves or other decaying material. They also feed on pet food left on decks and patios. 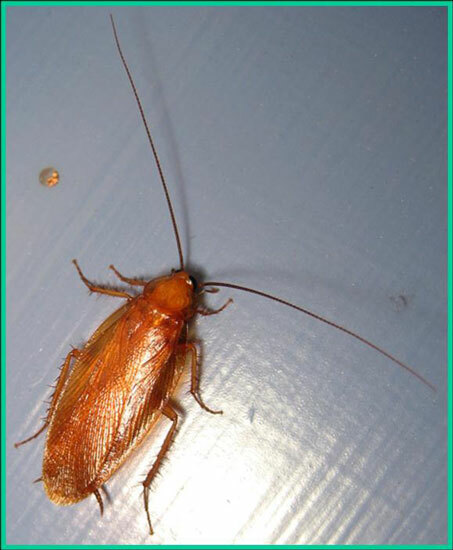 The Wood cockroach is generally 0.75" long, caramel-colored, and a very good flier. 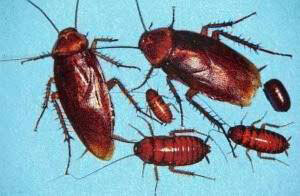 They tend to be solitary and not found in groups like other roaches. They usually habitat around wooded environments but may occasionally find their way indoors. They are more of a scare to a homeowner but not considered a problem in that the only one you may see is generally the only one present.